But when Penrod's jealous former lover, Lady Agatha, plants doubt about his character, Amber leaves him and travels to the wilds of Abyssinia with her twin sister, Saffron, and her adventurer husband, Ryder Courtney. On a mission to establish a silver mine, they make the dangerous journey to the new capital of Addis Ababa, where they are welcomed by Menelik, the King of Kings. But Italy has designs on Abyssinia, and there are rumours of a plan to invade . . .
Wilbur Smith was born in Central Africa in 1933. He was educated at Michaelhouse and Rhodes University. He became a full-time writer in 1964 after the successful publication of When the Lion Feeds , and has since written nearly thirty novels, all meticulously researched on his numerous expeditions worldwide. His books are now translated into twenty-six languages. 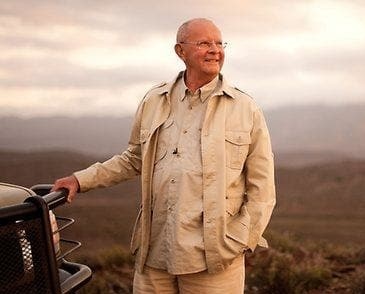 Wilbur Smith lives in London and continues to have an abiding concern for the peoples and wildlife of his native continent, an interest strongly reflected in his novels. The third in the thrilling Hector Cross series.